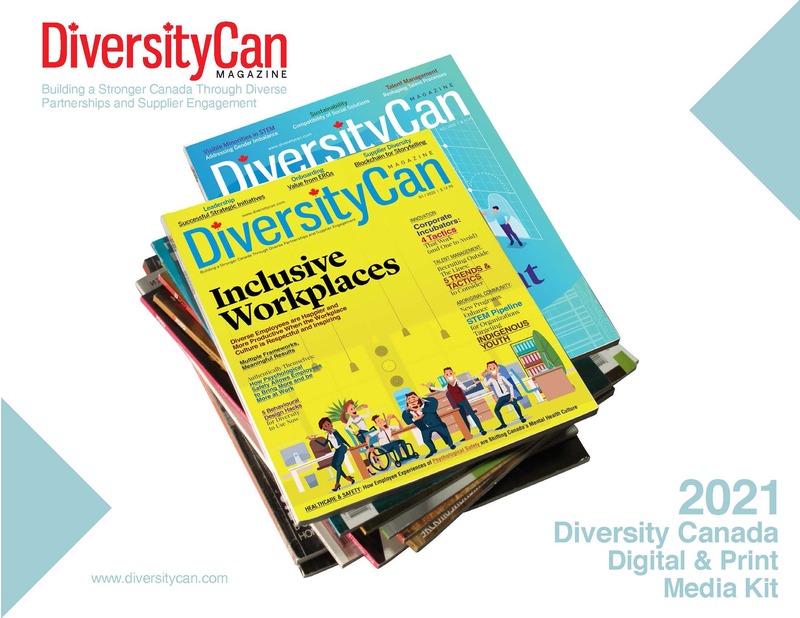 DiversityCan Magazine is one of the leading magazines for HR and Diversity in Canada. As Canada undergoes unprecedented change in demographics many companies are changing the way they source goods and services and recruit and retain talent. Diversity Canada Magazine helps corporate Canada better understand the business case for diversity and what it takes to build a strong program that reflects the values of each company and the customers they serve. Women, Aboriginal and Visible Minorities are growing in significant numbers and there is no better time than now to embrace change and become the diversity benchmark by which others can follow. 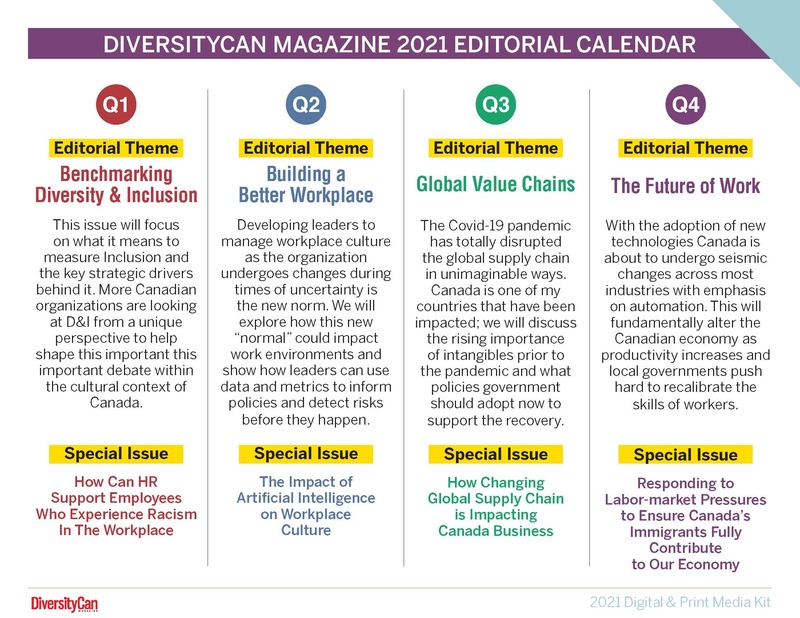 With a strong emphasis on cutting edge content Diversity Canada Magazine covers trends and issues impacting Women, Aboriginal and Visible Minorities, including Human Resource Management, Procurement, Diversity and Inclusion, Recruitment and Retention, Healthcare, Risk and Disability Management and much more. The magazine also spotlights successful HR and Diversity executives who are pushing the envelope to make a difference for others, and at the same time, improve the bottom line. For a more detailed media kit please fill out the fields below. You may also receive more information by contacting us at sarah@diversitycan.com. DiversityCan print magazine is available only in Canada, and our state of the art digital magazine is available in Canada and other countries.